Telephone number: (+34) 902 210 700. 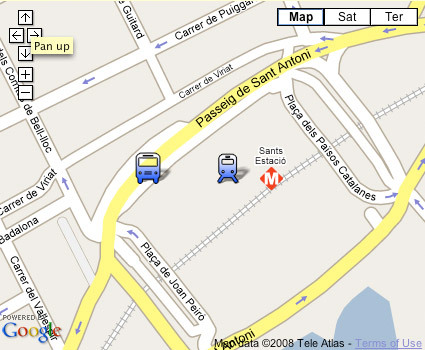 The bus station is located 50 meters on the left hand side of Sants Estació train station when exiting the main entrance. There are trains every 30 minutes from Sants Estació to Barcelona Airport. Tickets are available at the ticket office next to the buses. The price of a one-way ticket Barcelona-Benasque is around 20€. Daily buses depart from Zaragoza at 9:30 h and 15:00h (except on Sundays, only at 9:30h). The bus goes directly to Benasque. Flights available from Zaragoza airport to London, Milan and Brussels. Note that Zaragoza has a good connection to Madrid/Barcelona by high-speed train (AVE). The bus station is located in Estación Delicias. This is connected to the airport by bus. Tickets are available at the ticket office next to the buses. The cost of the one-way ticket Zaragoza-Benasque is around 15€. Ticket on-line are not available. The best way to get to Benasque using public transportation is via Zaragoza. 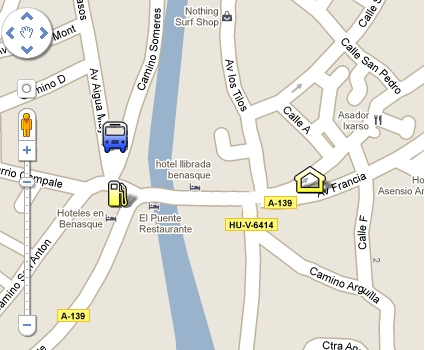 Come by train or by bus to Zaragoza and then by bus to Benasque (see details above). It is recommendable to book in advance both bus and train tickets from Madrid to Zaragoza. On-line tickets (Madrid - Zaragoza) are not available. For conections between Barcelona and Benasque please see above. There may also be organized bus transportation for the conference from Barcelona. Please consult the specific conference's web page. (see details above).